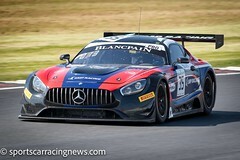 In eight seasons of Blancpain Endurance competition – both under the Endurance Series and Endurance Cup banners – a handful of competitors have become synonymous with the championship. This is not simply about reputation or results. Often, it is those who stick around year after year, through good times and bad, who become genuine fan favourites. But good results are generally what keep a driver in favour and that has been the case with the series’ two longest-serving competitors. The established iron man is Stephane Ortelli, who, quite remarkably, is yet to miss a Blancpain Endurance event in eight full seasons of racing. Keeping the Monegasque very much on his toes is Alex Buncombe, who has started 38 of the 40 Blancpain Endurance races run since 2011. And while Ortelli may hold the endurance record for Blancpain Endurance events, Buncombe has a seriously impressive distinction of his own. The British driver has driven every one of his races for Bob Neville’s Team RJN operation and always with the same manufacturer: Nissan. Like Alex, Chris is contesting the Blancpain GT Series Endurance Cup this year, competing for the Pro-Am title with Strakka Racing. The brothers are the third generation of the Buncombe family to take to the circuit: their grandfather competed during the fifties, while their father contested the British Touring Car Championship and made several starts at the Spa 24 Hours. Unsurprisingly, Alex says that motorsport is “all I’ve ever known.” Early on, however, he had to keep his own ambitions in check. This must have been especially frustrating, as Alex had championship-winning equipment in the garage. The Buncombes have long been friends of the Button family, with both hailing from the same part of Britain. Alex had to wait a little longer to make his way in the sport. But, when he did begin to receive opportunities, he made the most of them. “My first proper step was 1998, when I did the Jim Russell scholarship at Donington. I won it, but I wasn’t able to take the prize because you had to be 16 and I wasn’t quite old enough. That was frustrating, because I think the prize was a season in Formula Vauxhall Junior! 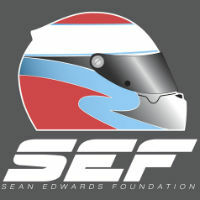 “Then in 1999 I did the Elf La Filiere scholarship at Silverstone. 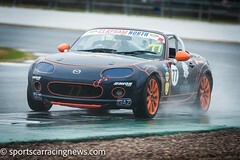 There were about 50 entrants and the top six of us went to Le Mans and drove Formula Renault Campus cars. The top two got a season in Formula Renault Campus. I came third! Alex competed in the Formula Renault UK championship from 2001 to 2003, but did not finish a season due to budget shortfalls. With junior single-seater racing proving difficult to fund, it was clearly going to take a different approach to make it as a professional. He spent the next two years racing domestically, before finally getting what seemed like a break. 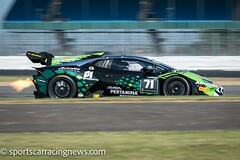 “In 2006 my brother joined Maserati in the FIA GT Championship. He had a sponsor, and he got me involved as well, so I raced in the Maserati Trofeo in 2006. But having an older brother did finally pay off, because it was Chris who helped to secure Alex the drive that has made his career. By the mid-2000s the elder Buncombe brother had raced with RJN for a number of years, driving GTs and touring cars for Bob Neville’s squad. “My brother was doing the Le Mans Series at the time and the race Bob wanted him to do, which was at Spa, clashed with one of his races. More than 11 years later, Buncombe remains the linchpin driver at Team RJN. All of his biggest successes have come with Neville’s outfit, including winning the 2015 Blancpain Endurance Series title and taking GT4 class honours during the maiden Blancpain season in 2011. “After the races at Spa, Bob found the money to keep running me and we carried on for the rest of 2007,” Alex explains. “Bob and [his wife] Liz are like family to me. Bob’s placed a lot of trust in me and he put me behind the wheel of some fast cars with some really good drivers early on in my career. He’s always believed in me, so our partnership has built and built, while Bob’s relationship with Nissan has progressed over the years as well. Their biggest moment came in 2015, when Buncombe clinched the Endurance title with Katsumasa Chiyo and Wolfgang Reip alongside him in the #23 Nissan GT Academy Team RJN machine. “It was such a close-run thing and it all hinged on the last round. To be honest, going into that weekend, it was at the back of my mind that we could win the championship, but I didn’t really think it was possible. This year GT Sport Motul Team RJN have campaigned the new Nissan GT-R Nismo GT3. As such, 2018 has been a learning year for Neville’s squad, though there have been flashes of real pace. “The new car’s been good. Unfortunately testing has been very limited. We only had one day before the first race so every time we get in the car we’re learning,” explains Alex. Buncombe makes a few mentions of wanting to “show what the car can do” in the future. Presumably, then, he plans to extend his relationship with RJN into a 12th year and keep up his excellent appearance record in the Endurance Cup? Before that, however, he will travel to Barcelona to close the 2018 campaign. The #23 crew is not in contention for a title, but Buncombe will nevertheless be targeting a top result as they seek to build a strong platform for 2019. What’s more, brother Chris is part of the #42 Strakka-Mercedes crew that leads the Pro-Am standings. Success is not always measured in results. Clearly, Buncombe is hungry to return to winning ways with the GT Sport Motul Team RJN squad in 2019. But this year he has taken enjoyment from being part of the family-run squad that has helped to build his professional career and doing so with his older brother competing alongside him.